Do you have anti-virus software installed on your computer, but still worry about its effectiveness? Run Dr.Web CureIt! 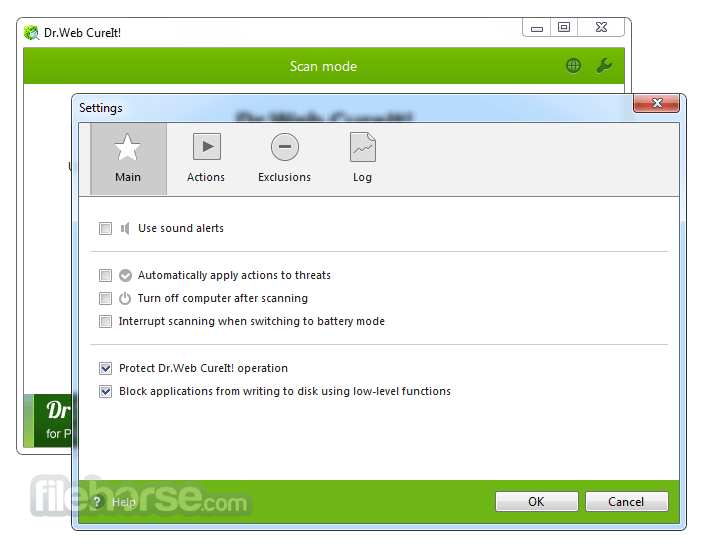 (no need to install it) to quickly scan your computer and cure it of any malicious objects. Dr.Web CureIt! detects and neutralizes viruses, rootkits, Trojan horses, spyware, and other malicious objects that have gone undetected by your anti-virus software. Once the scanning is completed, simply remove the program file from your computer. Freeware does not require installation and is compatible with all known anti-virus software. 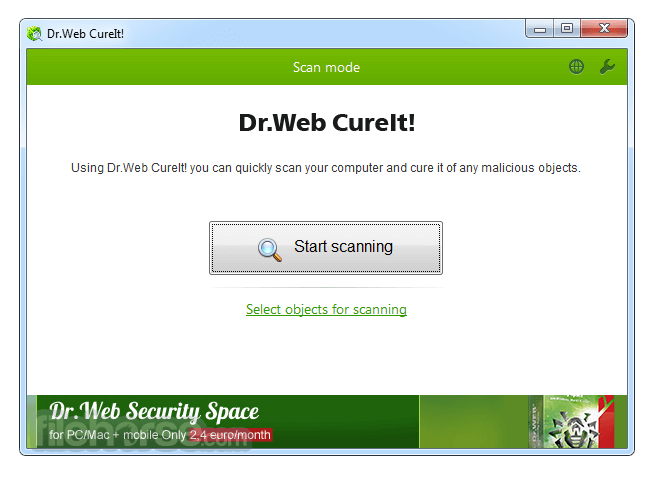 You do not need to disable your anti-virus software to check your system with Dr.Web CureIt! 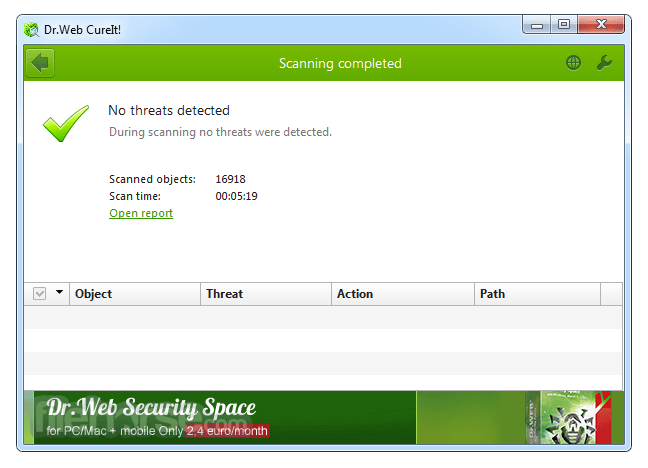 With this freeware, you can test the efficiency of your anti-virus software and then decide whether Dr.Web is right for you. Unsurpassed self-defence mechanism. CureIt! is updated at least once an hour.